A nationally known keynote speaker highlights numerous educational and entertaining environmental events as the University of Wisconsin-Stevens Point marks Earth Day this month. All activities, which include an eco-fair and film screenings, are offered to the public, free of charge unless otherwise noted. 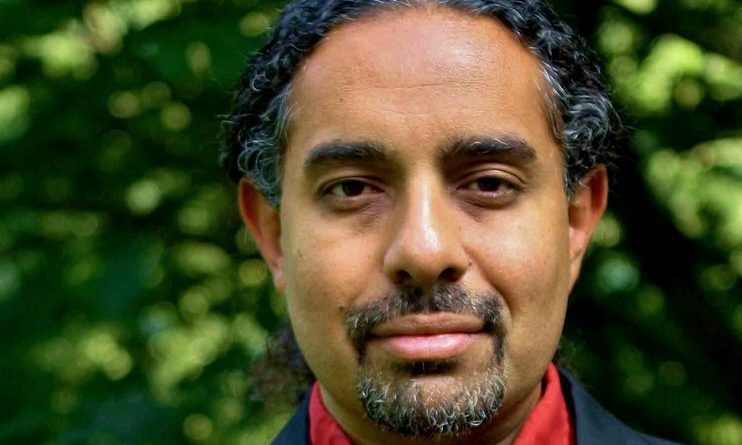 Professional technologist Ramez Naam will speak from 4-5:30 p.m. Monday, April 22, at in the Laird Room of the Dreyfus University Center (DUC), 1015 Reserve St., Stevens Point. His talk, “The Exponential Energy Revolution: How Clean Energy is Disrupting the $6 Trillion Energy Industry,” will provide an overview of key natural resource and environmental challenges, new innovations that could overcome them and policies that could encourage innovation in critical areas. Naam helped create Microsoft’s Internet Explorer and Outlook and holds 19 patents related to search engines and artificial intelligence. He is also the author of several books. He also is a member of several think-tank and forward-thinking groups. The event is sponsored by the Tommy G. Thompson Center on Public Leadership at UW-Madison—a first for this campus—as well as UW-Stevens Point’s Office of Sustainability and the Midwest Renewable Energy Association (MREA). A post-talk panel discussion will be held from 12:30-2 p.m. Tuesday, April 23, in the DUC Encore Room. Panelists will include Nick Hylla, executive director of MREA; Larry Ward, Regional Director, Conservative Energy Network; Maria Redmond, director of the Wisconsin Public Service Commission Office of Energy Innovation; Jessycah Anderson, UW-Stevens Point student and UWSP 350 member; and Heather Allen of RENEW Wisconsin. Lori Saak, of UW-Madison’s Wisconsin Public Utility Institute, will moderate. An eco-fair will be held from 10 a.m.-4 p.m. Wednesday, April 24, in the Laird Room of the Dreyfus University Center (DUC). Student and community organizations committed to sustainability will provide eco-friendly crafts, raffle baskets and engaging activities. The student organization Environmental Educators and Naturalists Association (EENA) has sponsored the fair since the 1970s. EENA also is also hosting a free eco-fair concert Wednesday from 7-11 p.m. in the DUC Encore. “Be the Change,” student volunteer event in the community, 12:30-3:30 p.m.
Earth Day was founded April 22, 1970, by U.S. Sen. Gaylord Nelson of Wisconsin as a peaceful teach-in to raise environmental awareness and protection. UW-Stevens Point has held educational environmental events each year since.